Kansas sophomore Udoka Azubuike prepares to shoot a layup in pregame warmups Saturday before KU's game against Seton Hall in the second round of the NCAA Tournament at Intrust Bank Arena. 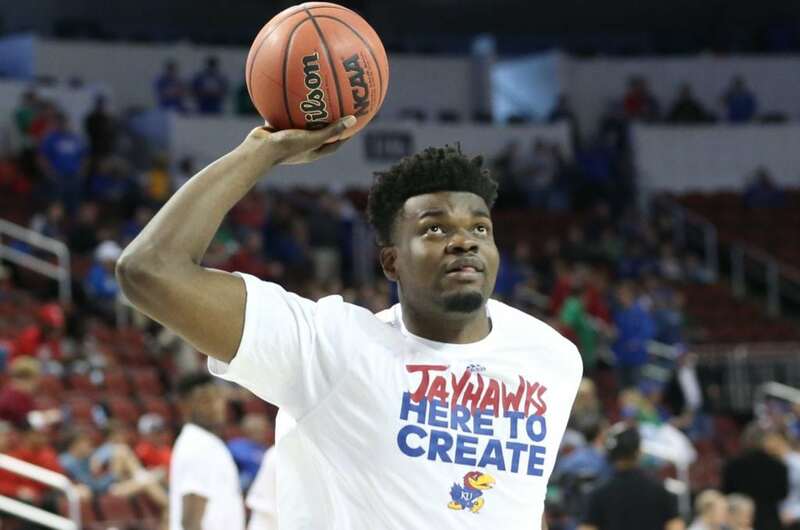 Before we put the whole Udoka Azubuike testing the NBA waters issue to bed, let’s be clear on one thing: Azubuike did not miss out on a chance to leave school early because of his lack of a jump shot. 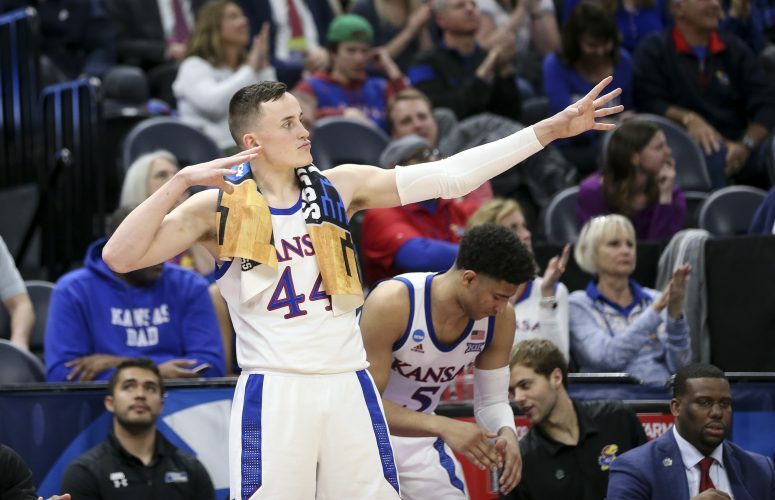 The sooner people understand that popular take on why the NBA was not ready to draft him, the sooner people will be able to put out of their minds the visions — some might call them fears — of Azubuike pulling mid-range jumpers throughout the 2018-19 season at Kansas. That’s not going to happen. No one wants it to and no one needs it to. Despite the recent changes in the NBA — from a game dominated by the biggest of men to one that favors smaller, quicker, more skilled scorers — a path still exists that takes Azubuike to the NBA after his time at Kansas is finished. And all he has to do to get on it is become more dominant at the things which his massive size puts him in a terrific position to do. Believe it or not, that has a lot more to do with his defense than any improvements Azubuike needs to make on the offensive end. 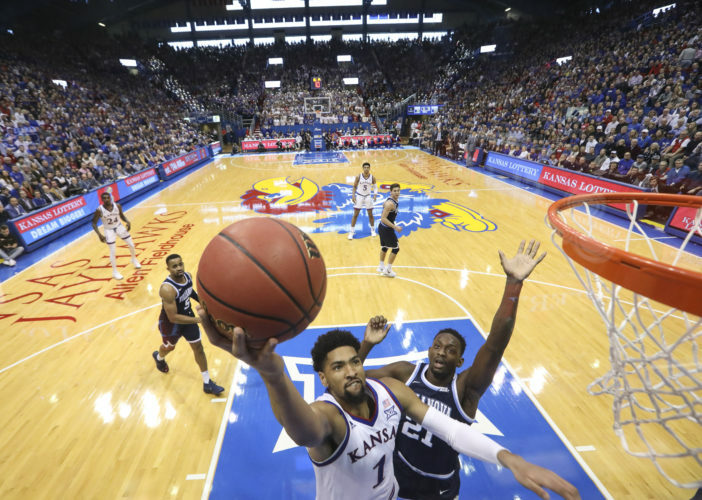 Wednesday night, not long after Azubuike decided to return to Kansas for his junior season, I caught up with an assistant coach from an NBA team in the Eastern Conference and he had some interesting thoughts on where Azubuike stands heading into his junior season at Kansas. In addition to stating some of the more obvious areas of Azubuike’s game that need work — i.e. improved free throw shooting — the assistant focused almost exclusively on Azubuike’s defensive potential. For comparison’s sake, and to illustrate his point, the coach brought up Houston Rockets center Clint Capela, a 6-10, 240-pound athlete who, during the Rockets’ series with Golden State routinely found himself switching onto Steph Curry and Kevin Durant as much as he guarded big men Draymond Green and Jordan Bell. And those are the things Azubuike should focus on during the 2018-19 season at Kansas. Forget developing a jump shot. I’m not sure a scenario exists, in college or the NBA, where a coach ever would want Azubuike taking jumpers. And forget trying to become something that better fits into the small-ball world the NBA is quickly becoming. Instead, Azubuike should continue to focus on improving what he does best, dominating whenever and wherever possible — we’re talking a goal of a 10 rebounds per game and pushing his blocked shots total from 60 to 100 — and punishing the rim and whoever tries to get in his way every time he gets the ball down low. “His ability to catch lobs and finish above the rim are definite positives,” the coach said. 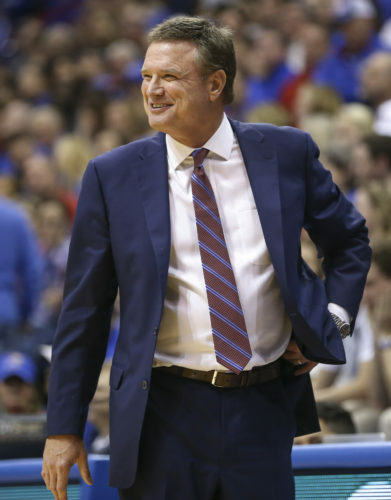 Doing both of those, while focusing his improvement efforts on defense and the glass, will help both Azubuike and the 2018-19 Kansas Jayhawks.